This is easily Austria's darkest site: it was one of the deadliest of the whole Nazi system of concentration camps in the Third Reich and the main camp on Austrian soil (with many satellite camps). Today the memorial site is one of the best preserved of its type as far as original structures go. The accompanying commodification for visitors has gradually been greatly improved as well, so it now has to rank as one of the top sites of its type in Central Europe. More background info: The concentration camp at Mauthausen was set up only months after the "Anschluss" (de facto annexation) of Hitler's original home country Austria by the German Third Reich in 1938. 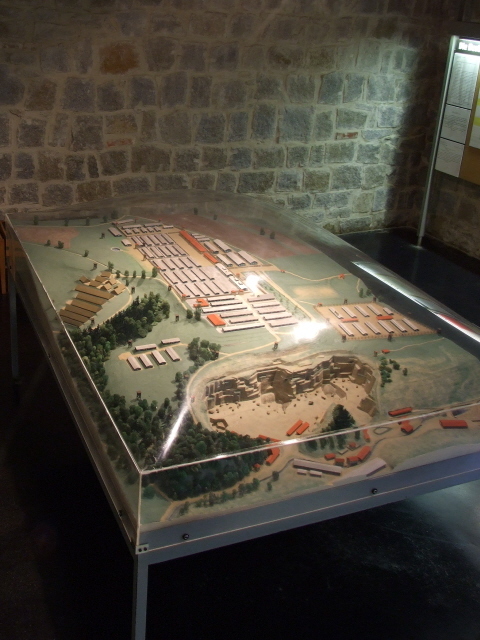 Right until the end of WWII, Mauthausen remained the main concentration camp on Austrian soil, even as more and more satellite camps sprung up during the last couple of war years, for which Mauthausen served as the main administrative centre. The site for the camp was chosen deliberately right next to a stone quarry (just like e.g. Natzweiler or Groß-Rosen too) in order to provide a) suitably hard labour for the inmates and b) easy and free access to building materials for the Nazi plans of megalomaniacal architectural projects (such as the planned transformation of Berlin into the Reich capital "Germania", or the expanded party rallying arenas in Nuremberg). 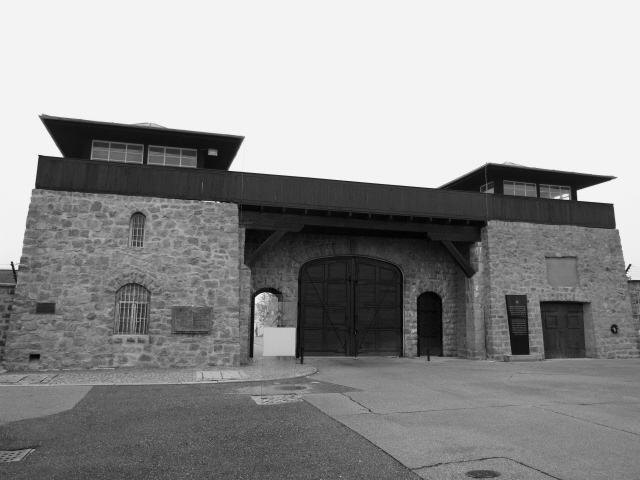 Early inmates even had to first build the stone buildings and barracks foundations of the Mauthausen camp from the materials quarried next door themselves. 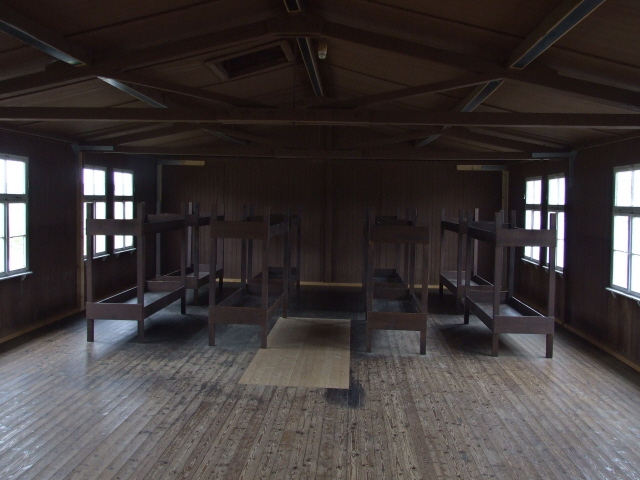 The initial inmates had been transferred from Dachau and were mainly political prisoners. This function of the camp dominated until about 1942/43 when the forced labour potential of the concentration camps was increasingly utilized in arms productions facilities, many of them newly constructed underground (to protect them from air raids). Thus Mauthausen had ever more so-called satellite camps, e.g. at Ebensee. 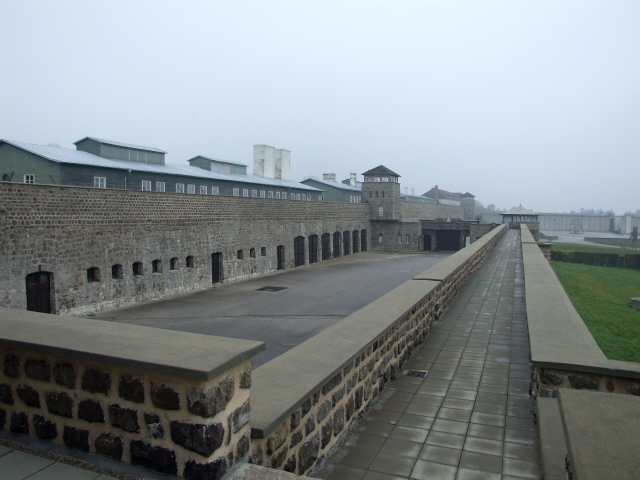 The nearby satellite camps of Gusen I, II, and III (also near a quarry) eventually even exceeded Mauthausen itself in size … as well as deadliness. Those who were no longer fit for work in those satellite camps were often sent back to Mauthausen – for extermination. 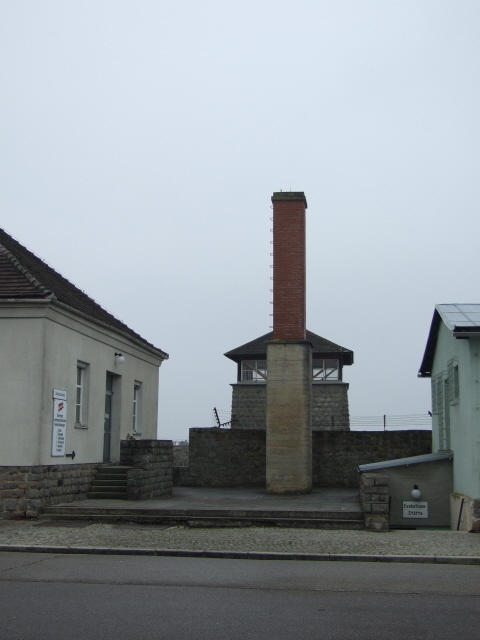 Mauthausen operated a gas chamber in which thousands were murdered with Zyklon B gas. Still, Mauthausen was not classed as a death camp as such (like Auschwitz or the purpose-built Operation Reinhard camps in Poland). But the death toll at Mauthausen was still one of the highest of all the camps within the German Reich. 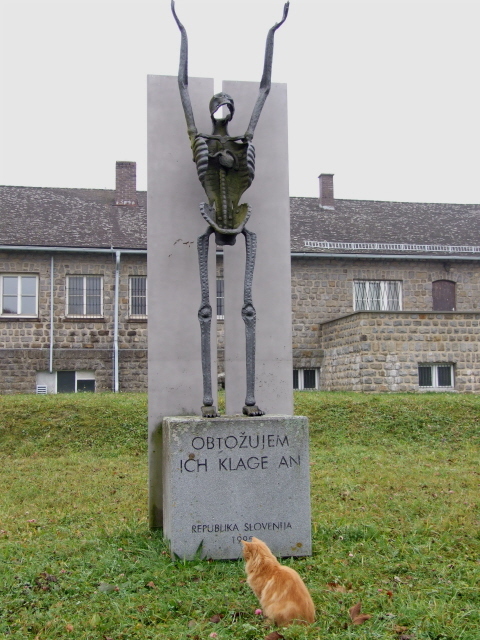 All in all, some 200,000 people passed through Mauthausen – and about half of these did not survive! 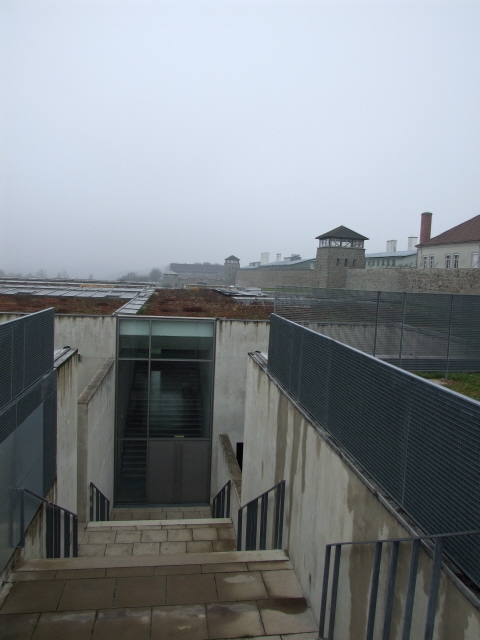 Apart from extermination through labour or the direct murders in the gas chambers or in executions, the quarry at Mauthausen was also the scene of some particular vicious violence: the inmates had to carry heavy stones up the 186 steps of the appropriately named "Todesstiege", 'stairs of death' or 'stairway to death'. Falling over on those steps with heavy rocks on one's back could be deadly. 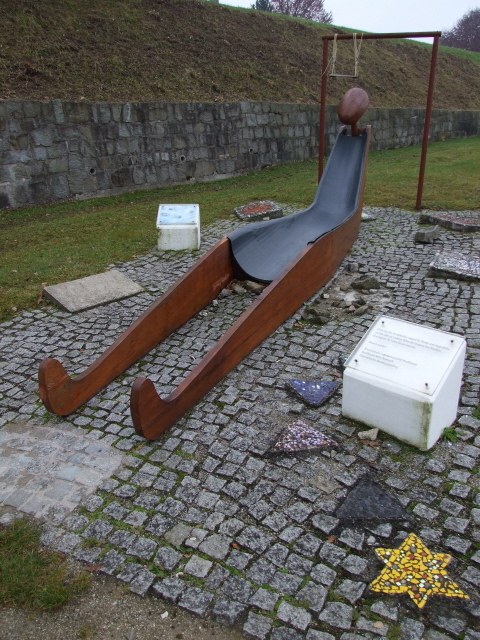 But SS guards even hurled inmates down to their certain death from the top of the cliff … deliberately and for "fun" – cynically referring to their victims as "Fallschirmspringer", 'parachutists'. Conditions went from bad to worse towards the end of the war, as more and more prisoners were "evacuated" from camps closer to the encroaching front lines, especially from the east. This resulted in massive overcrowding, failure of whatever sanitation there had been left, starvation and at the same time increased workloads of forced labour. A large proportion of the total death toll is attributable to that final phase. Mauthausen was a remarkably international camp, even though Soviet POWs, Polish and later Hungarian Jews were particularly numerous. But the camp also had significant numbers of prisoners from, amongst others, Spain (opponents of Franco), France, Italy and Yugoslavia. As the memorial plaques at today's site testify, even comparatively exotic nations such as Azerbaijan and Armenia were represented here. In January 1945, some 500 Soviet prisoners (many of them officers) staged Mauthausen's single most significant escape attempt. About half managed to overcome the fences, guards and barriers and make their way into the surrounding wintry countryside. What followed was cynically called "Hasenjagd", 'hare hunt', by the SS, who went after them and also mobilized the police, reservists, Hitler Youth and even numerous civilians in a collective hunting down of the escapees. When found, these men were mostly murdered on the spot. Afterwards the corpses were gathered in a heap (like hunted animals) in a nearby village which served as the hunt's "HQ" (Ried in der Riedmark). Only a few escapees were captured alive and returned to the camp, where they were invariably executed. Only a small handful are said to have survived, partly through courageous help from individuals who hid them, despite the immense danger. The story was told in an acclaimed 1994 movie called "Hasenjagd", "The Rabbit Hunt" or "The Quality of Mercy" in English. The camp was liberated on 5 May 1945 by US troops, and later handed over to the Soviets (in whose occupation zone the site then fell). 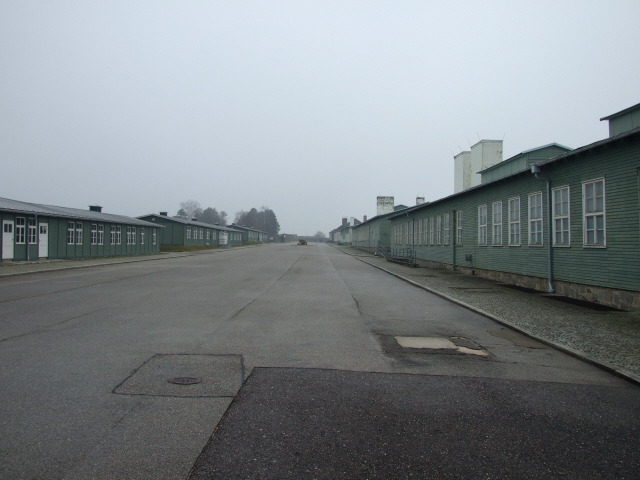 After a short period of other uses (as soldiers' barracks, mainly), the site was handed back to Austria and a memorial set up, which first opened in 1949. Parts of the former camp's grounds were turned into a cemetery where the remains of those victims were buried that could not be returned "home" to other countries. The memorial site was gradually expanded and updated in terms of commodification. 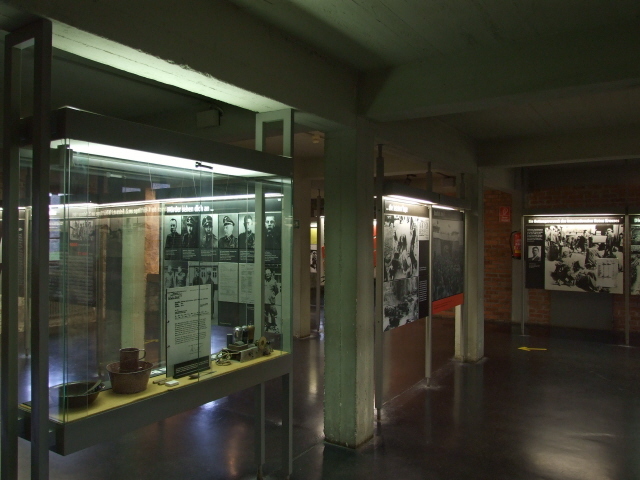 Most notably, an extensive documentary exhibition was opened in 1970 inside one of the camp's original buildings. In 2003 a very modern new visitor centre was added outside the actual camp's grounds. More work is still being done and various plans for further modification and modernization are under way. At the same time, a lot of maintenance work is necessary to preserve the original structures. This saw a serious setback in 2007 when a storm toppled one of the original wooden inmates' barracks. This has in the meantime been repaired. More structural work is going on so that at the time of my last visit (late 2013) some buildings were temporarily not accessible. 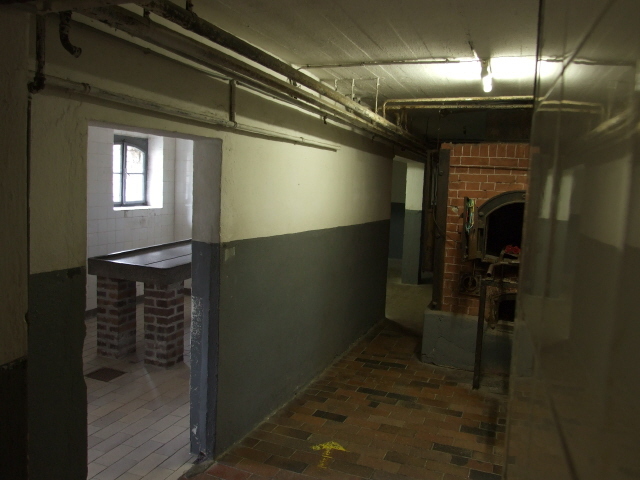 What has been finished is the complete reworking of the main permanent exhibition and the remodelled commodification of the basement structures including the gas chamber, crematoria and execution sites – see below for details. These new exhibitions were opened in May 2013. The site receives around 200,000 visitors annually (including a large proportion of school groups, also many from abroad) – but it definitely deserves more. On the other hand, especially if you come off-season, it is a relief to have much of the site "for oneself", as it were … esp. if you compare it to the crowds that can clog up places like Dachau or Auschwitz I.
Amongst the memorial sites of the concentration camps in Germany, Austria and beyond, Mauthausen is definitely one of the most remarkable, especially for the fact that so much of the original structures and installations are still in place ... as opposed to reconstructions or empty fields as with so many other such sites. 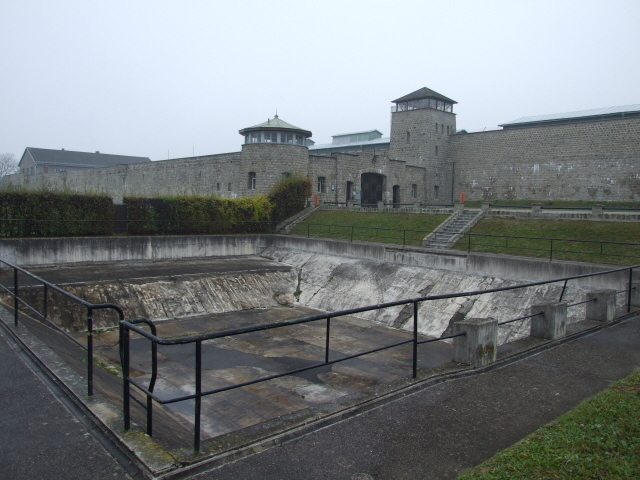 For dark atmosphere and authenticity alone, few other sites of this kind can compete with Mauthausen. It thus has to be regarded not only as Austria's No. 1 dark tourism site overall, but also one of the most significant dark sites in the whole of Central Europe. 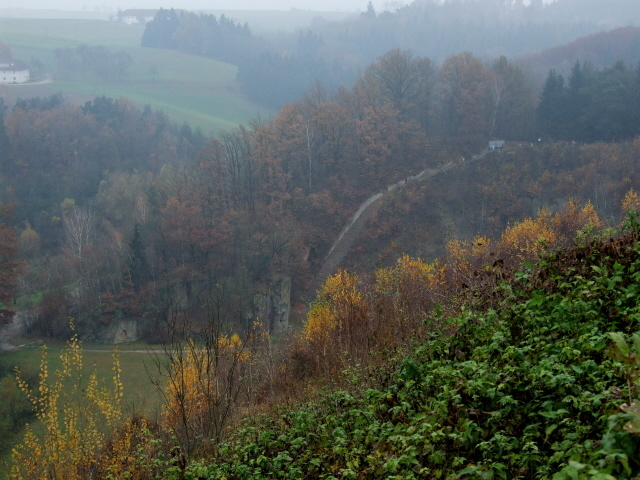 Even from a distance, Mauthausen is a striking sight. Although many will find it surprising that it does not fit the stereotypically "expected look" of a concentration camp (rows of wooden barracks, a ring of watchtowers and barbed-wire fences). Instead, the outer facade looks much more like that of a fortress. Indeed the high grey granite walls and big squat massive gatehouses look atypical – but no less sinister or menacing or, well, dark. Before you enter the premises of the camp proper, you can (and indeed are expected to) go to the new visitor centre first. This is a modern polished raw grey concrete edifice outside the present site's walls, situated directly by the road opposite the memorial's car park. It's here that the 45-minute introductory film is screened in a special cinema room. Also part of the documentation centre is a new exhibition which augments the one inside the camp well … it isn't all that comprehensive in itself, but it has many enlightening details. In addition there are clusters of workstations with computer screens and videos (e.g. with eyewitness testimonies – sound via headphones). I found that a few of the screens were not working when I visited in November 2009 (I didn't check on my recent return visit – when I found the whole section completely deserted ... even the information counter wasn't staffed at that time), but in general, this offers the potential of a massive extra dose of background information. If you have less time, you can make do with reading and viewing material to take home that is available for sale at the large bookshop at the visitor centre. There are separate sections for a surprisingly wide range of languages, including English, but the choice of material in Dutch, French, Italian, Spanish is also remarkable. One book I'd like to single out is a large bilingual tome entitled "das sichtbare unfassbare"/'the visible part', which is brilliant (including the English translation!) and richly illustrated with photos from the time of the camp's operation as well as its liberation. But there's plenty of further good quality material on offer too. So either come with a full wallet or keep it under tight control … If you ar eunable to see the film in the centre's cinema, you can buy it here on DVD (though the price is a bit steep). You can also already buy your admission ticket for the actual camp at the bookshop (make sure you have it ready to show it at the camp's entrance proper). A cafeteria/fast food restaurant adjacent to the centre supplies sustenance (but is not open at weekends outside the main summer season and closed altogether in winter from November to the end of February!). The visitor centre can feel a little labyrinthine and some people (myself included) get a bit confused about how to get to the actual camp memorial premises from within the visitor centre – a stairway leading out of the back doesn't lead anywhere in particular, but just to a field on top of the centre from where you can view the site but nothing more. So, instead go back out at the front, proceed past the strange pendulum memorial and head for the main camp gate. As you cross the wide courtyard heading for the gate with its two towers at the opposite end you also pass the former SS swimming pool. It's now empty but you can clearly make out its former function – just imagine, off-duty SS guards taking a dip and enjoying themselves ... and all that just yards from the camp's walls and the horrors within! Inside the main first gate lies the garage courtyard. You can climb the stairs and walk on top of the outer wall. 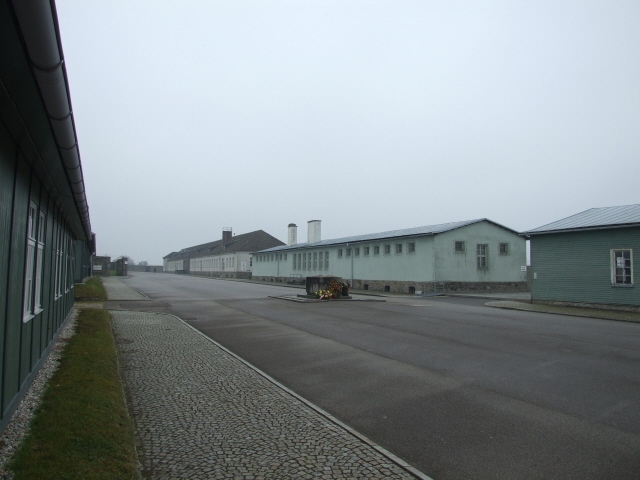 At the far end of the courtyard, past the former SS headquarters building, you can either inspect the various memorials in front of the camp proper, or first turn right and proceed to the gatehouse to the actual concentration camp grounds. If you haven't already bought your admission ticket at the visitor centre's bookshop, you can do so here. Inside the walls the first thing you'll see is an oblong courtyard – this is the former roll-call area. To the left you can see three original wooden camp barracks. To the right is a row of partly wooden and partly stone buildings (currently undergoing refurbishment, to be completed some time in 2014). Directly inside the main walls to the right is a so-called "Klagemauer", 'wailing wall', with memorial plaques from a wide range of countries including some rather unexpected exotic ones such as from Turkey or Azerbaijan or even China. There's no strict rule but one possible circuit around the historical premises could then start on the left with those wooden barracks that formerly were inmates' living quarters. Inside you can see a few wooden bunk beds and other pieces of basic furniture as well as washrooms. Behind the wooden barracks, to the left, the now empty field was once where several more rows of wooden barracks would have stood. At times, esp. towards the end of the camp's history, the premises extended even far beyond, including a separate tented camp (for Hungarian inmates housed in the most appalling conditions). Beyond the far end of the empty field, with bits of electric fence, there is also a mound of ash from cremated murdered camp inmates with a small memorial stone and cross. Further out along the central courtyard there are two smaller fields enclosed by walls: these are the cemeteries where inmates' remains were later reburied from the site where the American liberators had first buried the dead in 1945. Now at the far end of the courtyard, the circuit continues on the other side in the larger, stone building that once was the infirmary. It is here that the main, older permanent museum exhibition is housed. This museum exhibition is the new one only opened in May 2013. The old exhibition did indeed have various shortcomings, especially from the point of view of foreign visitors. The labelling and info texts were mostly in German only and where English translations were supplied these were often very poor quality indeed. The thematic structuring of the exhibition is a little unusual in that it isn't strictly, or at least not wholly, chronological. 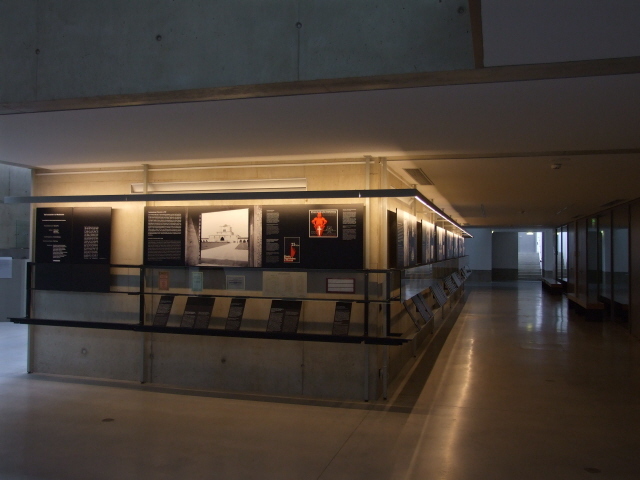 The main corridor does follow the successive stages of the development of the camp and its historical context (rise of Nazism, Anschluss and, outbreak of war, enlargement of the camp, final stages, aftermath), but the side rooms pick up particular themes not all of which are in line with the respective historical stages. 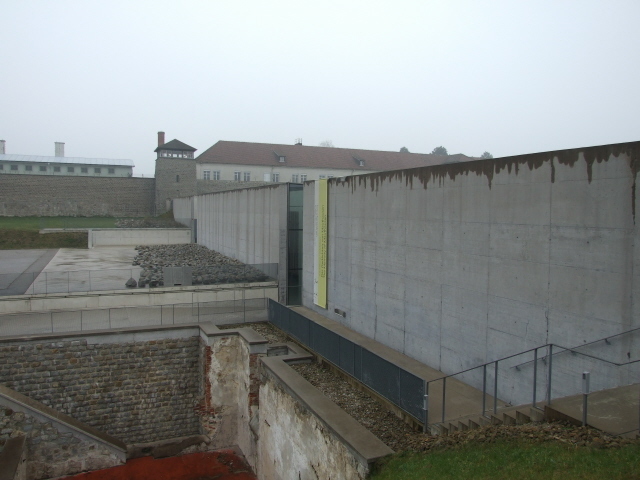 I was thus surprised that when I went into the first side room to the right what I found was mostly about the aftermath and coming to terms with the legacy of Mauthausen. At first I thought I may have started at the "wrong end" of the exhibition and asked at the reception. But no, apparently this dipping in and out of sub-themes like this is intended. That first room, in particular, is supposed to serve as both a prologue and an epilogue. A particularly poignant item here is a video clip of the TV show "This is Your Life" from the USA which was a disturbingly inept early attempt at dealing with surviving victims of Nazi concentration camps. In general, the rooms branching off to the left are more closely linked to topics of the camp itself and Nazi history, such as the Anschluss and the rise of fascism within Austria prior to that, the categories of inmates, the nature of forced labour in the quarry as well as (later) in the arms factories set up by the camp, the system of satellite camps, the liberation, and so on. The rooms to the right, on the other hand, are more about the people, in particular the victims, of which different categories and ethnic backgrounds are touched upon. It's also here that various personal stories and eyewitness reports can be found. In the end I found this approach of picking particular topics out and giving them separate attention worked quite well. It also helps in case you want (or need) to be selective, as you can easily skip whole sections if the sub-theme in question is not of interest or relevance to you. 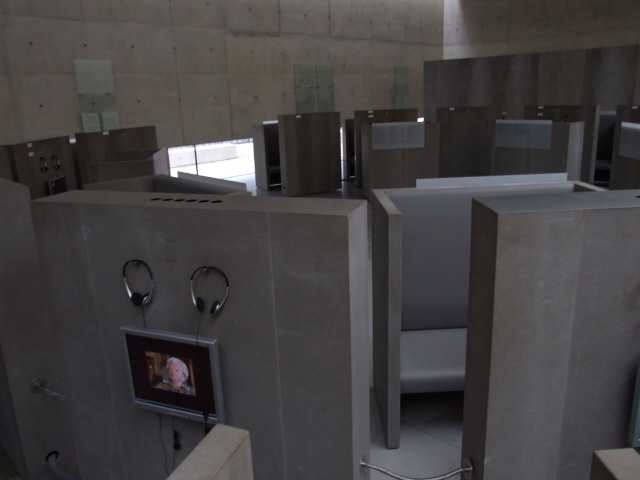 Apart from texts, photos and documents on static display, as well as the various audio-visual stations there are also a few screens which show a kind-of time-lapse capture of historic/structural developments, not only of the growth of the Mauthausen camp itself, but also of its satellite camps as well as the death marches at the end of the war. 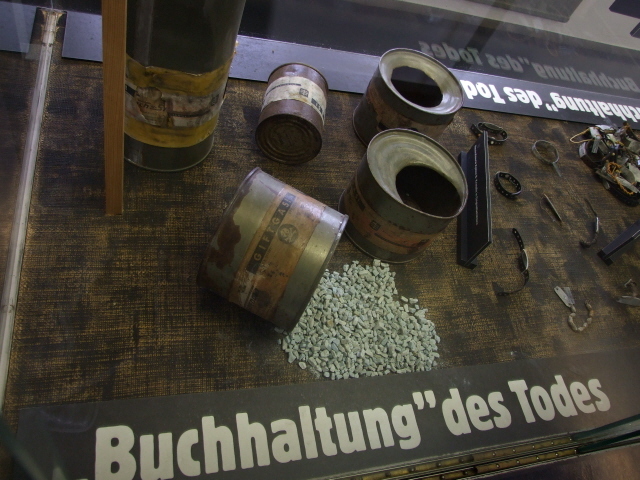 A particularly chilling artefact is an empty old Zyklon B canister. Here I noticed one significant change: in the old exhibition this had been part of a larger "diorama-like" display with a whole set of Zyklon B gas canisters, one even spilling out a mock-up heap of the chemical in its greenish-bluish pellets form (which looks like gravel – but the real thing would have turned into the poisonous gas on contact with warm air oxygen) – see the relevant photo in the gallery below. Downstairs, in the basement under the rooms with the main exhibition, another new section has commodified the grimmest parts of Mauthausen in a new and more elaborate way as well. This is the section about the deadly aspects of the camp: the violence, torture and murder. Before the authentic places associated with this are entered, a kind of preparatory exhibition introduces the various aspects first: daily violence, executions, death in the quarry, by injection or gas and cremation. Again, there are a few poignant artefacts on display, such as parts of the high-voltage electric fence of the camp, a syringe, or instruments of torture. Then you begin the circuit through the grimmest parts of the whole site. First you get to the larger one of the two crematoria that survived. It had long been a central place of commemoration, with countless plaques, wreathes and memento mori from a vast range of countries and groups of victims. The "circuit" is now more consistently "designed", and also more prescribed than it had used to be, This is mainly achieved through the installation of a kind of (wooden?) walkway that zig-zags through the different rooms. At certain points the dark walkway suddenly folds up, as it were, and ends in little markers and short text labels/explanations. The way this is done comes with a certain practical risk factor. If you don't watch your step closely but keep your eyes on what is to be seen on the walls (as is likely in an exhibition!) it can happen that you don't notice the black walkway in front of you suddenly folding up diagonally and become a stumbling block of sorts. I'm not making this up: I witnessed a visitor loudly tripping over one of these diagonal folds. The designers of the exhibition certainly had the best of intentions and there are some profound thoughts behind this particular design feature, but I'm afraid "health-and-safety" concerns were a bit neglected in this ... So be warned: better keep your eyes on the walkway as you proceed and watch your step! You then enter a darkened section called the "room of names", which oozes a particularly solemn atmosphere. Here, all the known names of individual victims, some 80,000 (! ), are etched onto various horizontally placed black glass plates. The names are put in a random order so as to make them all equal in individual importance. In addition, books with alphabetical lists of names allow for a systematic search for particular names. 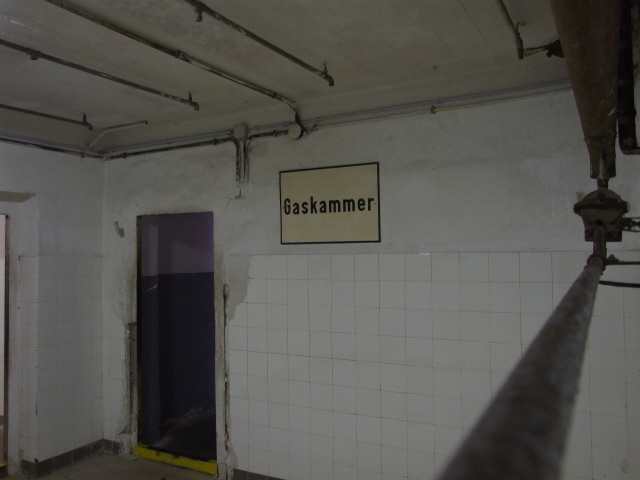 Beyond the room of names you come to the very darkest of all the authentic sites/sights at Mauthausen: the gas chamber. It's a fairly small room, tiled in white and with pipes going along the walls and overhead – as if for showering … in the usual fashion of disguising the real function of this sort of room. Although the gas would not have come through the pipes and shower heads but through a shaft on the side equipped with a ventilation fan. Before the re-design of the memorial commodification you used to be able to even enter the gas chamber. You are now prevented from doing this by one of those "stumbling blocks" made by the black walkway folding up just in front of the open door to the chamber. Take particular care here, because if you stumble over this one you may bust your head on the hard tiles inside the chamber. 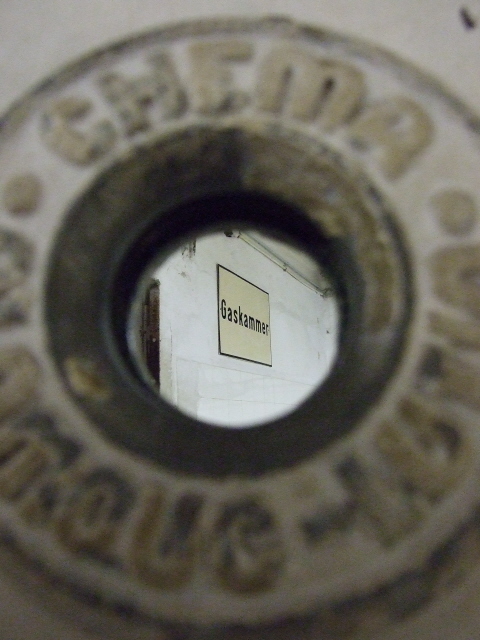 In the past you could move (open and close) the doors, so that you could even see through the peep hole set into the middle of it (through which the perpetrators would have checked on the slow and agonizing death of their victims). Apparently this was deemed inappropriate so the one door is now permanently pried open and no longer can be moved, while the other one is permanently closed. The new design may be well-intentioned but it does, however, detract a bit from the previous authenticity of the place that used to make this one of the most chilling close encounters with the former death machinery of the Nazi camps. Similarly, you can no longer enter the dissection room adjacent to the other, smaller crematorium, or the former morgue, where corpses were stored before cremation. These too are now blocked by the new "stumbling-block design" of the circuit, so you can only look in but not enter. Finally, you come to the execution room. Here you are released from the prescribed black walkway, but there isn't really much to see except for some markings on the floor, a reconstructed part of wainscotting on the wall where the executions by shooting (while pretending to take mugshot photos) took place, as well as a crude "gallows" – basically a steel beam overhead to which a wire is attached. One change I found very welcome was that the thoughtless graffiti left by visitors (including even the stereotypical hearts + "X was here" type) that used to be visible in some of the bare basement rooms has been removed. The very worst trace left by a visitor that I ever encountered in such a place was, however, to be found in the guest book in the main exhibition on one of my earlier visits of the place: some anti-abortion activist had the abominable cheek to leave a highly inappropriate message likening the Holocaust to an alleged "babycaust" going on today … as if abortion, even if you are against it on moral grounds or something, could in any way be compared to the unparalleled malice underlying humanity's worst ever crime that was the Holocaust. I have nothing but contempt for whoever it was who misused the memorial site's guest book in this utterly mindless way! At the time of my most recent visit, in November 2013, there was lots of construction/refurbishing work going on around and inside the remaining buildings of the camp. So these were at that time no longer accessible. There used to be a large hall with flags of dozens of nations hanging from the walls. 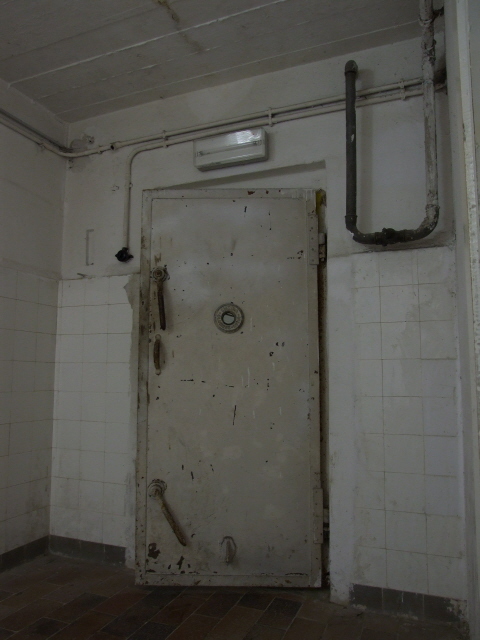 And a cell block of the camp's prison was also accessible. I presume some of this will come back when the whole modernization and refurbishing programme that is currently under way is finished. But for now this is it and you can head back to the gatehouse. Finally back in front of the main gatehouse you can then view the various memorial monuments if you haven't already done so before. Again, a wide range of countries are represented here. The Soviet monument is, unsurprisingly, particularly large. You can also tell that they are from different periods of time – not just because some of the countries which they represent no longer exist (such as Yugoslavia or the GDR), but also by the style they're executed in, ranging from the usual traditional bronze figures in agony and/or mourning to some highly imaginative ultra-modern ones. 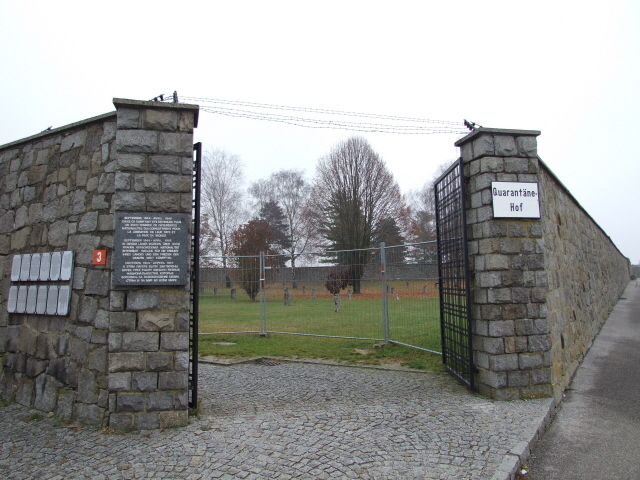 To the left, you could walk back to the visitor centre and car park – past a lower-lying field with another Russian memorial, and past the site of the former SS sports ground, used by the American liberators as the first cemetery at Mauthausen (later transferred to the camp grounds – see above). However, before you return that way and leave you could instead follow the path to the right of the collection of memorials which takes you to the infamous "Todesstiege". You can already see this Stairway of Death from the cliff top at the far end of the memorial complex. 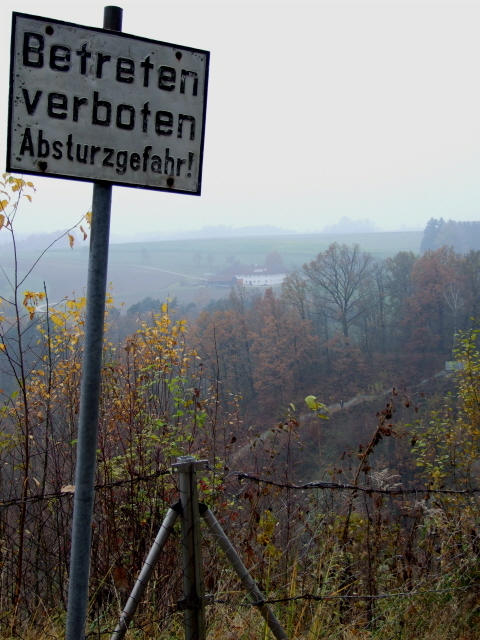 A sign warns – rather ironically I found, and only in German – of the danger of falling down and admonishes you to keep away from the fence. Explanation: here especially cruel SS men would frequently have pushed inmates – who in most cases wouldn't have understood German either – over the cliff's edge to see them crash to their deaths below … and cynically referred to them as "Fallschirmspringer" – 'parachutists'. Proceeding along the path, you at first descend at a low gradient, then you come to the stairs proper, that wind down in a steep curve of 186 steps all the way to the bottom of the quarry. I always think you almost "owe" it to the place to climb these steps the whole way and back at least once – it doesn't change anything, but is a kind of cathartic gesture. 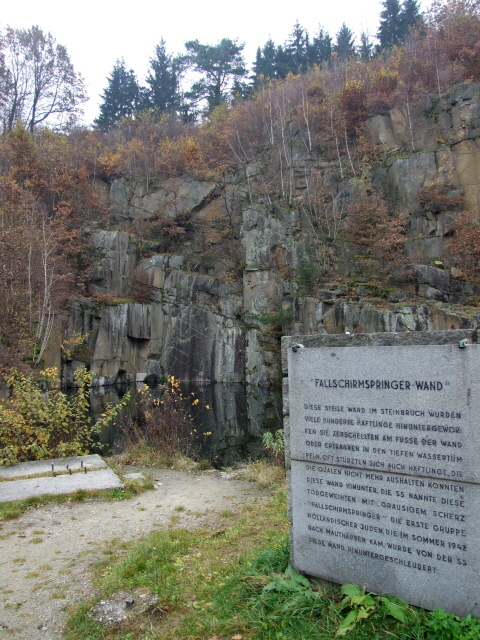 The rest of the quarry is rather bare these days, except for a few more memorial plaques, either in German only or in German, French and Russian (but this may change in the course of the refurbishing work currently being undertaken at Mauthausen so that English language plaques may be added here too). But you don't really need most of the information anyway. The eerie atmosphere more or less speaks for itself … if you know where you are, that is – apparently not everybody does, so a sign I spotted (a bit hidden) in one corner of the quarry near the bottom of the stairs explicitly prohibits: bathing, diving, washing cars or playing ball games (sic!). It should be a must-do for any dark tourist travelling in this part of the world, even if it requires a little detour … it's wholly worth it. Location: high on a hill near the village of Mauthausen by the Danube River in Upper Austria, a good 10 miles (15 km) south-east from Linz and about 100 miles (150 km) west of Vienna. Access and costs: a bit remote but quite easily reached by car, less comfortably by public transport and walking; a small admission fee is levied. Details: To get to Mauthausen by public transport is a bit tricky but doable. You can get a train on the main Westbahn line from Vienna or Linz (or, in theory, all the way west from Salzburg) and change at St. Valentin, from where regional trains make the ca. seven minute connection to Mauthausen. Mauthausen station is a bit east of the village itself, while the camp memorial site is high on a hill up to the west, so it's a bit of a walk: first along Vormarktstraße past an industrial estate/shopping centre into Mauthausen centre via Marktstraße, then further westwards on Linzer Straße (leaving the village proper), then wind your way up to the right along Uferstraße, which becomes a path and ends at the Moststube Frellerhof, where it connects with the access road (called "Erinnerungsstraße") that leads the last bit up to the memorial entrance. All in all the walk will take something like an hour. If that sounds too daunting you could just get a taxi from Mauthausen station instead. There are also buses (from Linz, e.g. from the main train station, line 360) that go through Mauthausen (albeit on a roundabout route that takes longer than the trains), and if you get off at the Hauptschule stop just a little down from the turn-off of Uferstraße, this cuts the walking time down by about half. You can check connections at ooevv.at which has an English-language timetable search function. To get there by car is, naturally, a lot more comfortable: the usual approach is from the main cross country road No. 3 which runs parallel to the northern banks of the River Danube and straight through Mauthausen en route to Linz coming from the east all the way from Krems (from where the motorway-like S6 fast route provides access to Vienna's east). That's the more scenic but slower route. To speed things up you can get the main east-west A1 motorway that passes south of Mauthausen at Enns/St.Valentin, from where the 123 connects north to the 3 at Mauthausen. 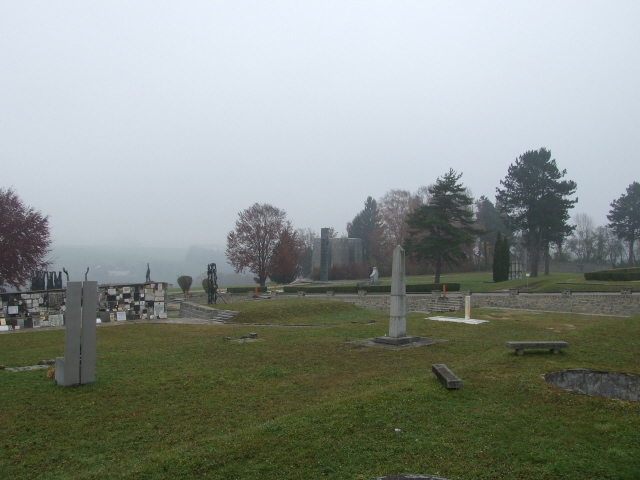 From Mauthausen continue on the B3 westwards and turn right near Langenstein (into Linzer Straße) – the site is signposted "KZ Memorial Mauthausen". When coming from Vienna expect something like two hours' driving time each way at least (when going at a legal speed), going by train/bus takes even longer. So if you want to do it as a day return excursion make sure you have a suitably early start. From Linz it's just a short drive (perhaps 15 minutes or so, depending on traffic and the route taken). At the bottom of the quarry, there's a small free car park by the road opposite the quarry entrance with space for about ten cars or two coaches. 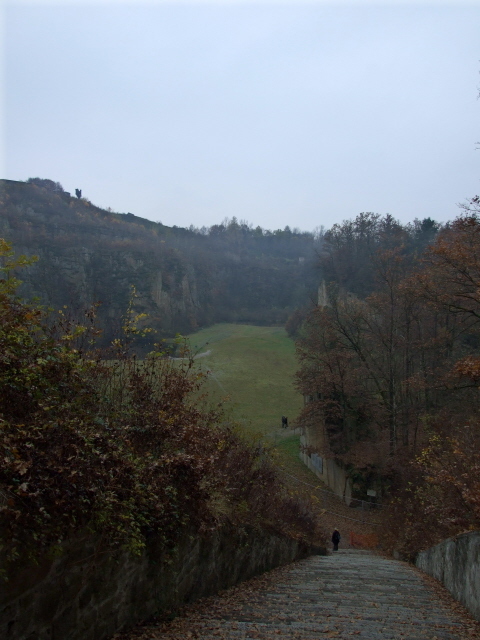 To get there, drive the access road from the memorial back to the intersection at the bottom of the valley, and instead of turning left towards Langenstein/Mauthausen/St. Georgen turn right and drive for about half a mile. The car park is by the second (!) access to the quarry, opposite on the left-hand side of the road. 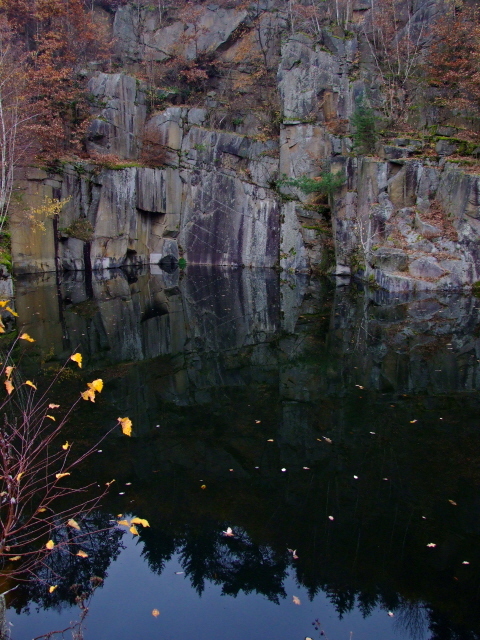 The quarry and outside memorials could in theory be visited for free at any time – but note that in winter (ca. 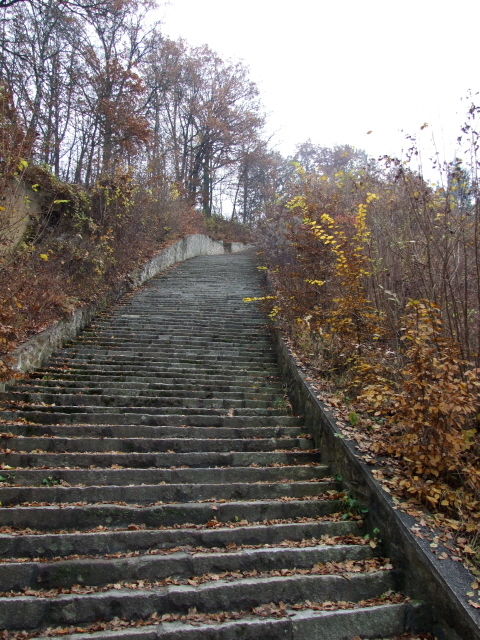 November to March) access to the "Todesstiege" ('stairs of death') is closed, so you'd need to get to the bottom a different way. Note that it is officially not recommended that people under 14 years of age visit Mauthausen! Admission: 2 EUR (concession 1 EUR). Film screenings in the documentation centre are free; audio-guide hire, also available in English, is free too (but a deposit is required) – note, though, that it has to be returned by 3 p.m. at the visitor centre or by 3:30 p.m. at the main camp gate ticket booth at the very latest! In addition, introductory guided tours (of ca. one hour duration) are available too. Starting point is at the visitor centre. English-language tours take place regularly only in August – three times every day at 10:30 a.m., 12 noon, 1:30 and 3 p.m.; a small fee is charged (1 EUR per head) for this service. German-language tours also take place from 6 July (at 10 and 11:30 a.m. and at 1 and 2:30 p.m.). Outside these peak season times you'd need to pre-arrange a group tour. These can be arranged through: BMI-IV-7@bmi.gv.at. 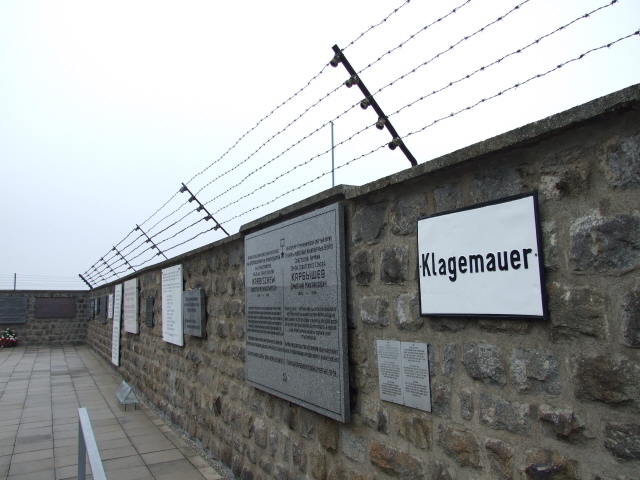 Further guiding packages, including in English, are offered by the "Mauthausen Komitee" (www.mkoe.at), including excursions to various sites of former satellite camps. Time required: You could easily spend a whole day at this site especially if you want to read/view/listen to everything in the exhibition, use an audio-guide for the open-air parts and want to make use of all the new information facilities in the visitor centre as well. But even just walking around the main site itself can take a few hours to cover it all. The walk to and down (and then back up!) the "death stairs" of the nearby quarry adds extra time too but should not be missed. 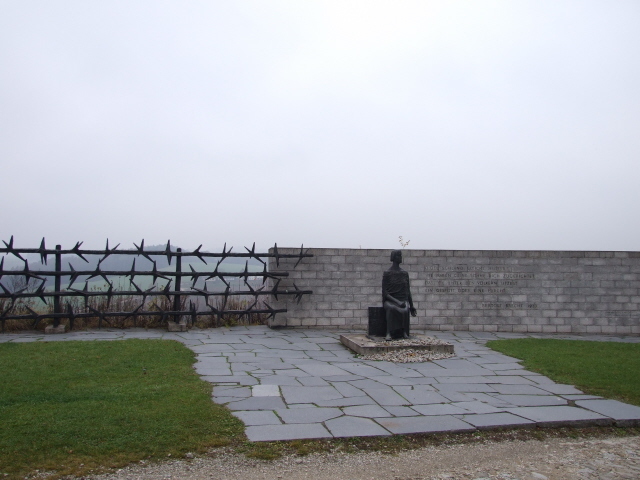 Combinations with other dark destinations: The most obvious and fitting site to combine a visit to Mauthausen with is the Gusen Memorial, just down the road in the village cluster of Langenstein/Gusen/St. Georgen. 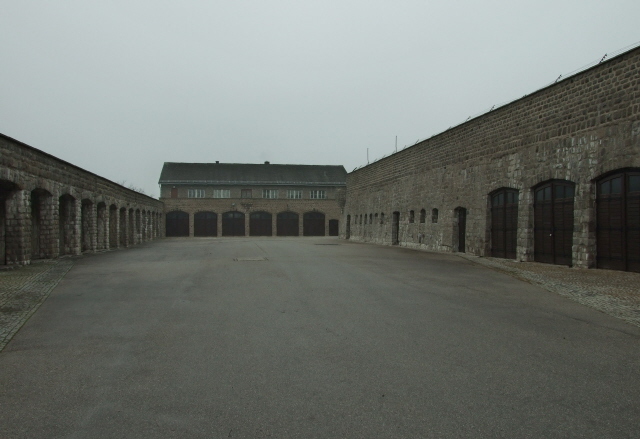 Gusen was Mauthausen's largest satellite camp, in fact at its peak it exceeded the main camp in size (and deadliness). Unlike Mauthausen, however, far less of anything original has been preserved, but it still makes for a worthwhile add-on. 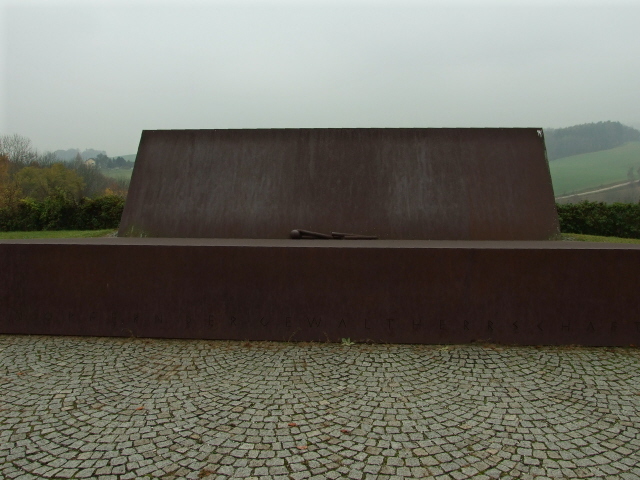 Not too far away, on the other side (west) of Linz, is another very important dark site in Austria that is also related to the crimes of the Nazi period, in this case to the euthanasia programme of the "Aktion T4", namely its largest centre at castle Hartheim. It is now the main memorial and documentation centre on the topic. 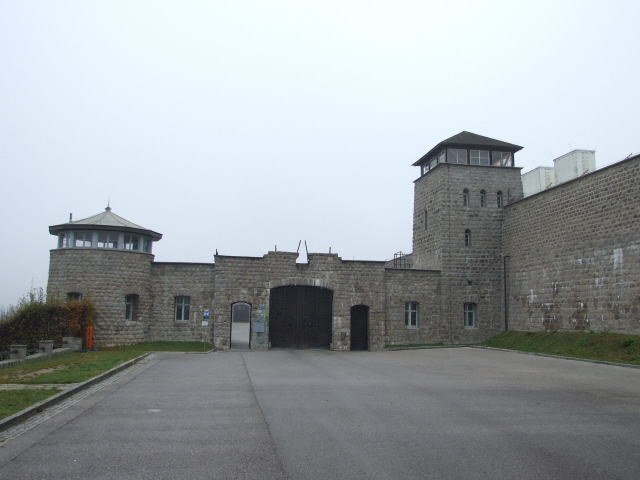 Seeing both Mauthausen and Hartheim in single day may be stretching it a little, though, so you'd probably need overnight accommodation to be able to do both and do them justice. 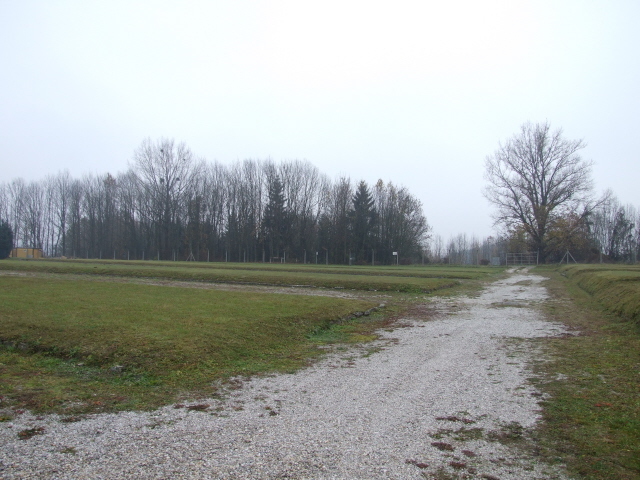 Further afield still, the site of the Ebensee satellite camp is again more directly linked with Mauthausen. When going in season, this could also be combined with a visit to Mauthausen, Gusen and Hartheim, but that may require another night's accommodation. 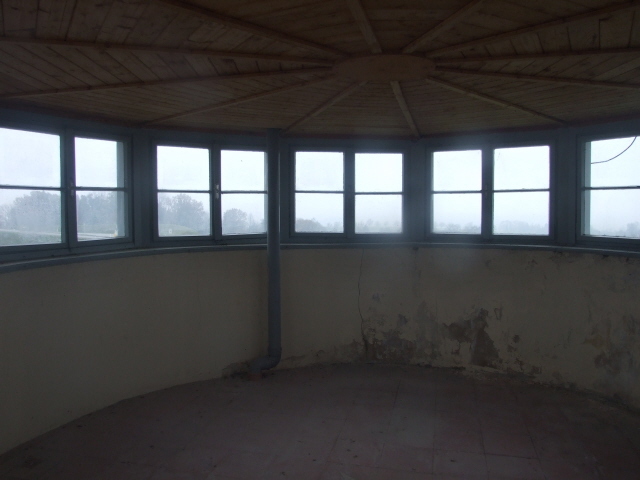 Yet another site of a former Mauthausen satellite camp can be found at Melk: south-west of the town at Schießstattweg, off Dorfnerstraße. It's open Thursdays to Sundays 10 a.m. to 2 p.m., the key will have to be collected at No. 8 Schießstattweg. There's less to be seen here, basically just an old crematorium oven in a hut and a few memorial plaques. But it could be tagged on to the drive to/from Vienna, as the A1 motorway passes close by the town of Melk with its landmark yellow-painted monastery. Combinations with non-dark destinations: The immediate vicinity of the site may be comparatively bland, but some of Austria's most picturesque bits (of a non-Alpine nature) are fairly close by, in particular the Wachau stretch of the Danube River east of Mauthausen (with a good riverside road), just a little downstream, between Melk and Krems. Spitz, Weißenkirchen and especially Dürnstein (with its distinctive blue church towering over the river) are the main focal points/settlements along the way. The latter also boasts an old hilltop castle in which Richard the Lionheart was once held prisoner! This area is also Austria's prime viticultural region – in fact, some of the world's best white wines are made here (see Austria/food & drink). Linz, the nearest larger city, usually gets a bad press (mainly for its steelworks-and-chemical-industry-dominated looks and the Hitler associations) but I don't find it all that bad. An internationally renowned specialist cultural attraction is the "Ars Electronica" art museum. As the name suggests, it's all about modern art involving electronics (mostly, but not exclusively visual) – and it's indeed nothing short of fantastic! The large neo-gothic cathedral in Linz is also worth a good look, in particular for its very modernist stained glass windows which are highly unusual and extremely impressive as far as these things go. The central town square near the main city centre river bridge also has its undeniable charms.